Omega three oil is an essential fatty acid that is vital for body metabolism, but is not naturally produced by dogs. It is an important part of the diet for humans and pets alike. Dogs, like humans, need proper levels of omega three in their bodies to stay healthy and strong. Dogs typically have more omega 6 than omega 3 in them. The best ratio should be about 5:1 but is usually askew. It takes plenty of omega 3 to counter the negative effects of omega 6 on your dogs body. Problems such joint pain, lethargy as your dog gets older, skin issues, ear infections and stomach inflammation. Is Quality Dog Food Enough? Though dog food packages claim that they contain omega three fatty acids, they usually lack in the most important, which are eicosapentaenoicacid (EPA) and docosahexaenoic acid (DHA). That last one, DHA, is super important. Omega 3 oils can improve the condition of a dog’s heart (just like it can for us too! 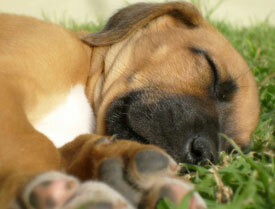 ), boost immunity and nourish the skin and the coat of all types of dogs. These essential fatty acids are often used by veterinary professionals to treat skin allergies, inflammatory diseases, kidney diseases, and heart issues. Whilst also being used to control cholesterol, treating cancer and helping arthritis. Medicinal omega 3 for dogs is not that widely available – but you can find top quality capsules specially for dogs here. Depending on your dogs general state of health, improvements can be seen fairly quickly. Although it may well take 3 or 4 months to see any major changes. Omega 3 can ‘repair’ your dog from the inside out, starting from the cells and ending with the organs. A lustrous coat and skin are indicative of the healthy condition of kidneys, liver, heart and brain. As fats are an expensive part of pet food, commercial brands often do not contain sufficient quantities of omega three fatty acids. If your dog licks its paws way too often, suddenly develops an allergy for something, develops skin infections or if your dog seems to limp for no apparent reason – there is reason to suspect a deficiency of omega 3 oils in your dog’s diet. Just like humans, dogs need quality nutrition. If it’s good enough for us to take, then it’s good enough for our dogs! So when shopping for a supplement make sure you avoid products that have not been properly filtered of contaminants. The best omega 3 oils come from fish, but most fish oil needs to be filtered to remove toxins such as heavy metals (read more about that in Mercury In Fish Oil Capsules). And do check the label before buying – it should state how much EPA and DHA the capsules contain. If not, don’t buy! I recommend this omega 3 supplement for dogs – because it uses the same top quality fish oil that I buy for myself. And because you know exactly what you are getting in the bottle – it has been carefully filtered to ensure the high quality is maintained but without any trace of toxic metals!